With several Australian defence agencies and prime contractors in attendance at Pacific 2013, along with top defence dignitaries, ASC wanted to leverage the event to establish its credentials, demonstrate its leadership, and establish new relationships while strengthening existing ones. The challenge was to connect with event visitors by creating a point of relevance that they could care about and identify with. This was achieved by developing a communication strategy that shifted the positioning focus from shipbuilding to nation-building and national security. 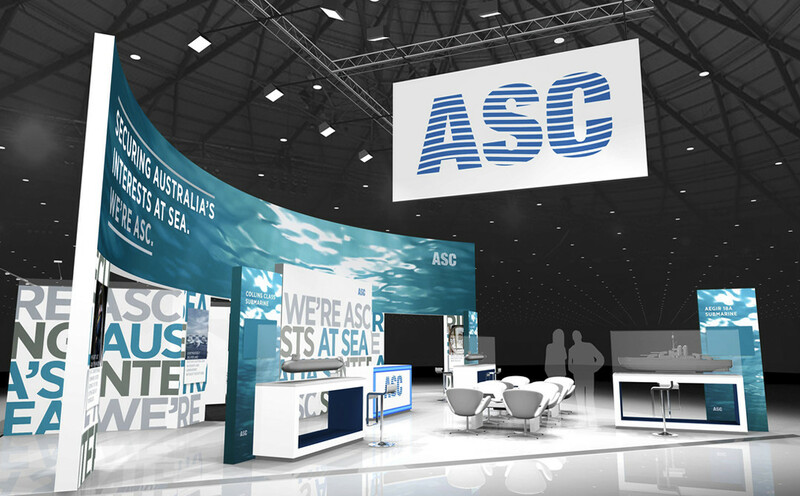 Brand personality and tone of voice were also developed and defined for the ASC brand, thus providing the organisation with ongoing value beyond the trade event. 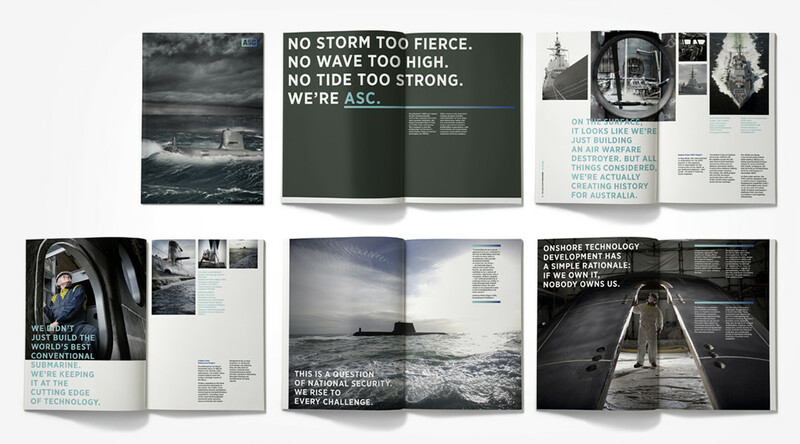 Comprised of a multi-layered messaging framework (Inspire, Engage, Demonstrate), the communication strategy dealt with a range of defence, security, technology and economic issues that served to represent the ASC brand in its totality. This communications framework was then applied to the stand design (developed by the client’s vendor) as well as to the corporate brochure. 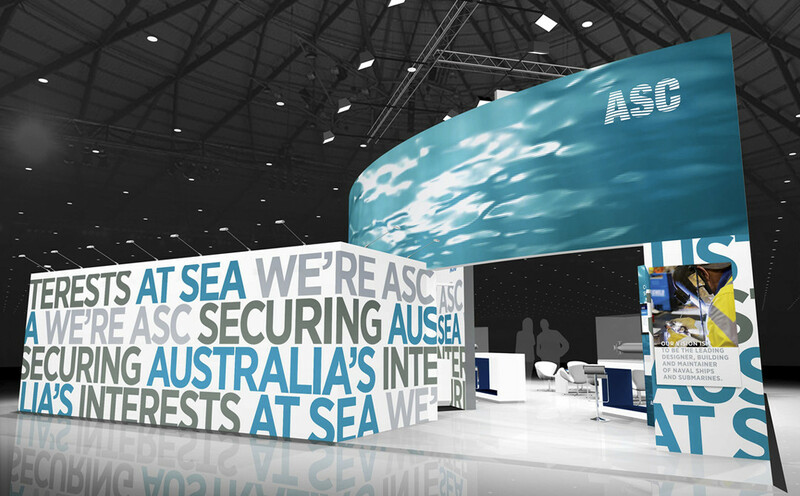 The combination of inspirational and informational messaging helped to establish a communication hierarchy that informed and integrated the stand and brochure designs so that they captured the essence of ASC like never before.